My friends and I made a Georgetown trip on my last weekend in NoVA for the summer. The trip was partly to try District Doughnuts, and partly to take advantage of a Groupon deal I bought for il Canale – an Italian restaurant on 31st St. I mean it when I say I travel specifically for food! The restaurant itself wasn’t too crowded when we got there for an early dinner, and the space is clean and brightly lit. We started with some cocktails, but really should’ve ordered wine to go with our meal. My peach bellini was nothing special (tasted just like a mimosa). My friend ordered a drink she really didn’t like. I never liked calamari before, but il Canale changed my mind. The breading was perfectly light and not too greasy feeling, the calamari tender and not too chewy. 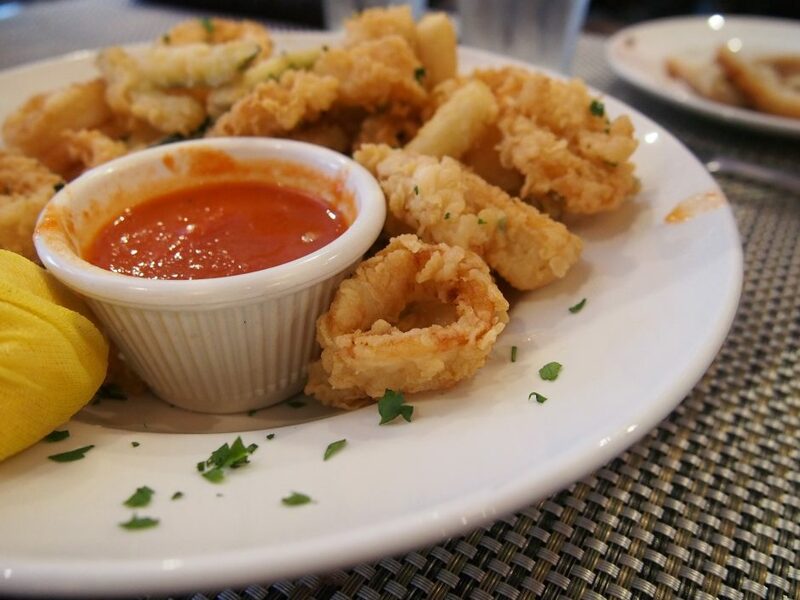 (I normally can’t stand the texture of calamari!) The appetizer came with fried zucchini – you know, to get our daily dose of vegetables or something. 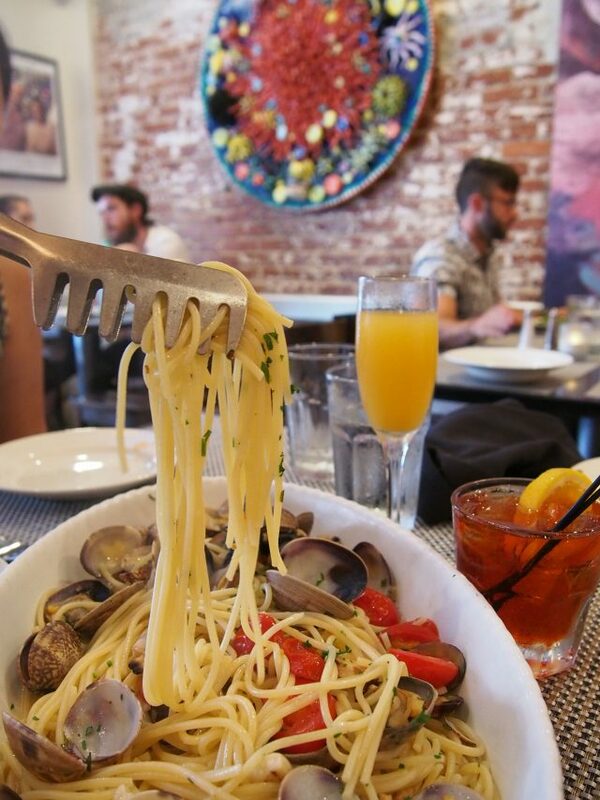 The star of the show – spaghetti alle vongole. This was my favorite dish from my travels along the Italian coast, and il Canale did not disappoint. The cockle clams and grape tomatoes were fresh. The two-person portion size was perfect for our group of three. The white wine garlic sauce – oh, this is when I realized I really should’ve ordered a glass of white to complement the flavor of the sauce – divine! I went in intending to order pizza because I’ve heard great things about their pizza, but I have absolutely no regrets about this pasta. Besides, I probably wouldn’t order the seafood dish without the Groupon deal. I have my eye on the margerita pizza for next time!